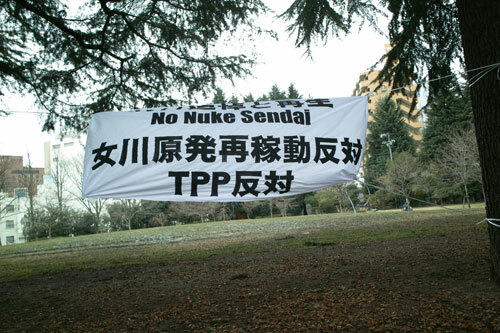 „311 silent Sendai“ is the demonstration against nukes and TPP in Sendai, Miyagi Japan 11 Mar. 2012 without any sounds; calling, music instruments and so on. Sendai city is 95km far from Fukushima Daiichi Nuclear Power Plant which have occurred melt through. The demonstration don’t sound at least, but there are very loud in the street.